Texas school districts hit hard by Hurricane Harvey may not have to worry as much about how well their students fare in this year's State of Texas Assessments of Academic Readiness, Texas Education Commissioner Mike Morath announced Wednesday at a meeting of the State Board of Education. Texas school districts hit hard by Hurricane Harvey may not have to worry as much about how well their students fare in this year's standardized tests, Texas Education Commissioner Mike Morath announced Wednesday at a meeting of the State Board of Education. Morath said at the meeting that he understood the impact of the storm on schools and students, possibly signaling that he would consider not applying this year's scores on the State of Texas Assessments of Academic Readiness, or STAAR, to the agency's assessment of Harvey-affected school districts. Students across the state began taking STAAR exams this week. Texas Education Agency spokesperson DeEtta Culbertson said agency officials will "look at the STAAR scores, and [Morath] will make determinations on districts or campuses based on some kind of Harvey-related waiver." Based on that determination, STAAR scores may not be included in Harvey-impacted schools' ratings, Culbertson said. “I’m anticipating that a relatively large number of campuses, from Corpus to the Louisiana border, would be eligible for that,” Morath told the State Board of Education on Wednesday. He cited the devastating effects on schools of student and staff displacement, as well as school facility closures and disruptions, as reasons behind the decision. School administrators have asked Morath and the Texas Education Agency for months to waive school accountability ratings, which are largely based on how students perform on state standardized tests, for Harvey-affected schools. With tens of thousands of students displaced by the storm, administrators argued the scores would be more representative of their students' continued trauma than their academic abilities. "F stands for flood, not failing district," one Victoria administrator told lawmakers at a November committee hearing. Morath also drew heat from Harvey-impacted school districts for not moving standardized test dates for the 1.4 million students affected by the storm. He had initially argued that waiving scores and ratings would lead to teachers and students not being held accountable for teaching and learning. Texas lawmakers this spring approved an updated system for rating schools and districts using a grading system from A through F, with the first grades for districts set to roll out in August. Alief ISD Superintendent HD Chambers, who previously called on the state to waive school accountability ratings, said he hopes Morath will use scores from the schools to make a fair and accurate assessment of schools impacted by the storm. Chambers said he hoped the agency would "at a minimum" take into consideration exempting Harvey-impacted schools' scores "because of the impact the storm had and continues to have on students and adults." A final decision on whether to implement Harvey-related waivers won't be made until June, so the agency can set specific rules regarding the exemptions, Culbertson said. 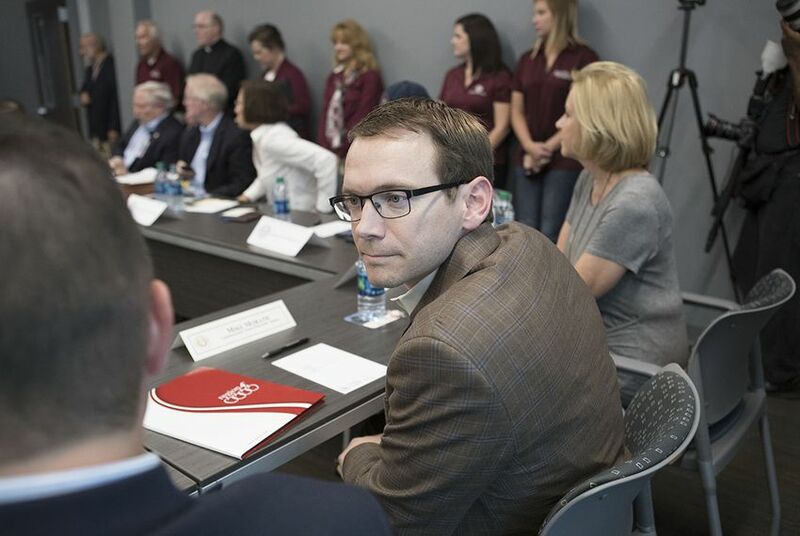 But Morath said at Wednesday's meeting that people worried about Harvey-impacted schools' ratings should "not lose sleep" over the issue, adding that his agency's decision would be "extremely rational."